Mark your calendars now for what weeks in 2018 will have Sunday coupon inserts. 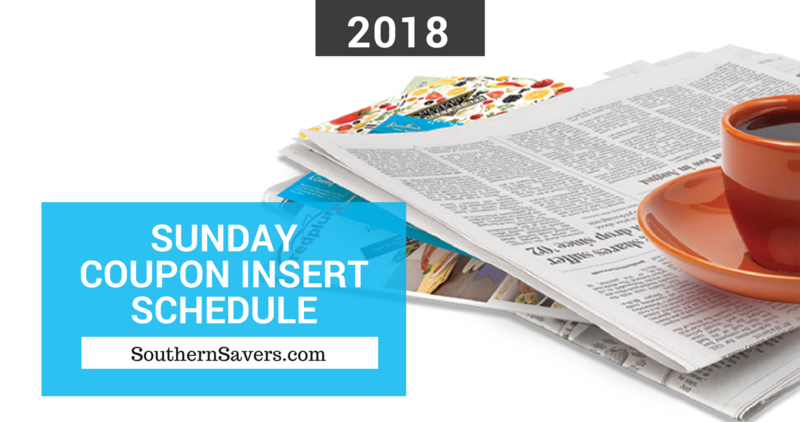 This 2018 Sunday Coupon Insert schedule should help you at least know when to stock up on papers (or to just skip a week). Please note that as of March 25, 2018, the Red Plum insert is now called RetailMeNot Everyday, be sure to look for the new name!